I especially gravitated towards the section of the book addressed “Saving for Your Kid’s College”. With three young children it can be very overwhelming to think about paying for their college education and I am not even sure where to get started. We have considered a pre-paid college plan but I found it particularly helpful to learn about other options in this book that I had not yet been familiar with i.e. a 529 plan. I do think some of the sections were a bit simplistic such as the “Biggest Money Traps” because many were quite obvious i.e. impulse shopping, gambling, alcohol etc. Overall though it is the simplicity that makes this book attractive and would be especially beneficial in my opinion for all young adults or college students just starting out. It is a quick read but there are lots of good pointers. I appreciated all of the information about stocks and investing because this is my area of weakness and I enjoyed learning more about the basics and found the definitions helpful. To learn more about Your Financial Playbook you are invited to visit the author’s website, “Buy Like Buffett”. 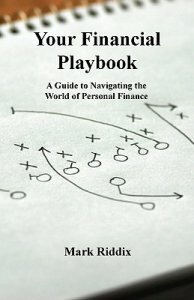 You can purchase Your Financial Playbook: A Guide to Navigating the World of Personal Finance for only $12.99 and it is available at Barnes and Noble and Amazon. I think my husband would love this book! He’s been wanting to invest but not knowing where to start, so I think we could get something out of it! This looks like it would be extremely useful. Maureen: Interesting. I’m homeschooling mama to 11 y/o autistic ds, Justin and working with 3 y/o dd, Ginny, too! Apollo Beach, FL. Nice to “meet” you! Maybe I can get a handle on how to pick investments.